I started writing this in front of an all-day back-to-back marathon of Who Do You Think You Are? on Sky channel 3075. This background information is relevant, because it was the inspiration for this, my tricky third blog post. Usually in this programme (in which celebrities are led on a kind of treasure hunt around their ancestry before inevitably breaking down in a flood of guilt-induced weeping when they discover someone in their lineage who was much poorer than they are), there comes a moment when the subject will turn, astonished, to an unseen interviewer, and say something like, “I always wondered where I got my stubbornness / creativity / love of animals from, and now I know! Great Auntie Hilda was just the same! Amazing!” This is nonsense. For every feisty, brave woman raising ten children in a one-bedroomed hovel in the Victorian East End, there was probably an alcoholic waster of a deserting husband who had left her behind. I have yet to see a celebrity identify with the latter. 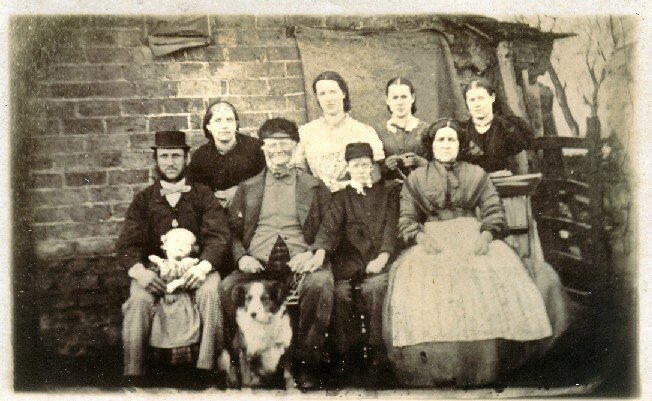 My own family tree consists almost entirely of salt-of-the-earth agricultural labourers, cloth workers and blacksmiths. As far as I am aware, not one of my 1000+ known ancestors was born outside England, and very few of them were born outside Yorkshire. (Using the standard WDYTYA logic, this should have made me a purple-faced, Daily Mail-reading UKIP supporter with a flock of sheep, but thankfully it hasn’t.) Unless you count the farmer in the wilds of Wensleydale who fathered his last child at the age of 72, the most exciting person in my entire lineage is only exciting because he was a tramp. Mr. SB’s tree reads very differently. It contains members of the House of Lords, a Swedish bigamist, a Canadian beekeeper and a harbourmaster of Cape Town. Most of the others were seafaring folk; his origins are in places as far afield as the Forest of Dean, East Lothian and Ireland. If he ever featured on WDYTYA, licence payers would be complaining to the BBC about the astronomical budget after about fifteen minutes. My version, in contrast, would cost about £2.50 all in. If personality really is determined by heredity, we should have nothing in common. And yet, here we both are, living quite amicably in the same house. Three generations of my family, not including the dog. My real point, though, is this: most of my genealogical research has been done without leaving the house, on the internet, using a computer which is no bigger than a Victorian schoolchild’s slate. On the infrequent occasions when I have needed to venture to the local library, or a distant churchyard, I have taken a day off from my well-paid professional job, left our unremarkable three-bedroomed suburban house, got into one of our two cars, and driven myself there. Using skills acquired during my 16 years of full-time education, I have read books, written notes, used indexes, and evaluated evidence, before packing up and driving home to watch television, play on the Wii, or talk on Twitter to some people I’ve never actually met. And I am often struck by how utterly alien my ancestors would find everything in that last paragraph. And I often wish I could resurrect them, and invite them round for a microwaved ready meal, so that they could see what happened next. ~ by somethingblonde on March 22, 2010. At which point they’d burn you as witch.